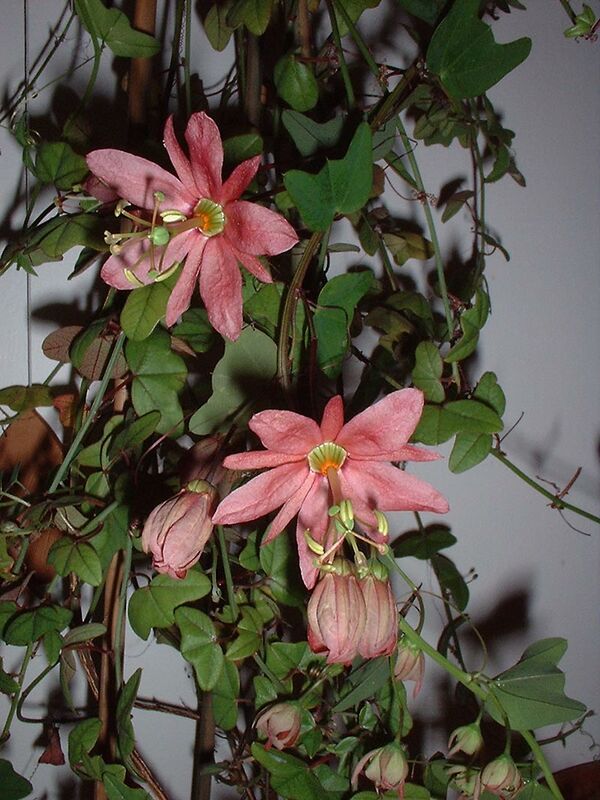 Passiflora ‘Flying V’ was registered in the International Passiflora Hybrid Register. 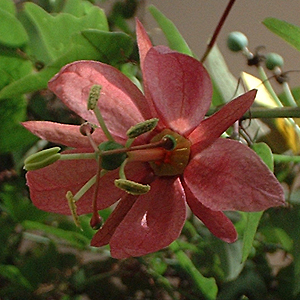 Very rare vigorous hybrid between two Passiflora species native to Jamaica. Very free flowering. 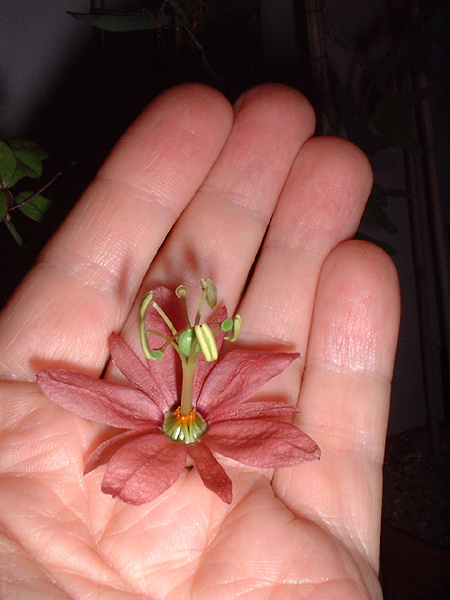 Grown from seed of Passiflora penduliflora x Passiflora perfoliata kindly sent to me by Mark Cooper. 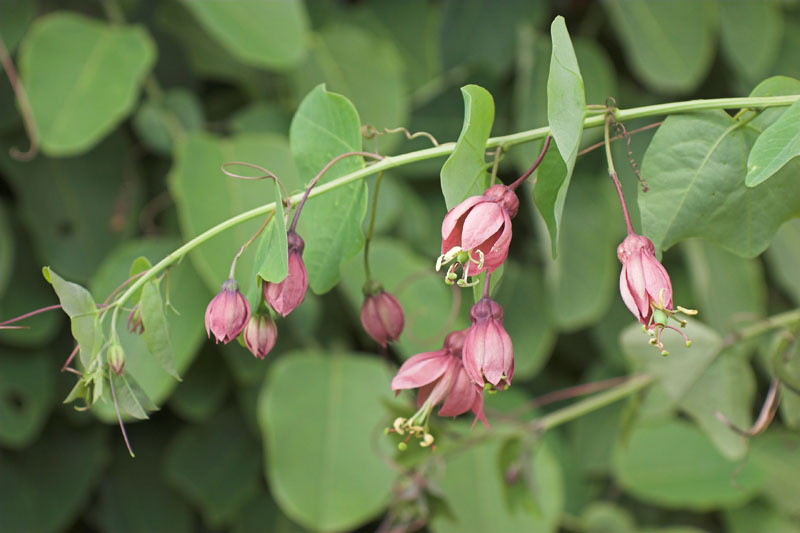 Ideal for container growing in a pot or hanging basket. 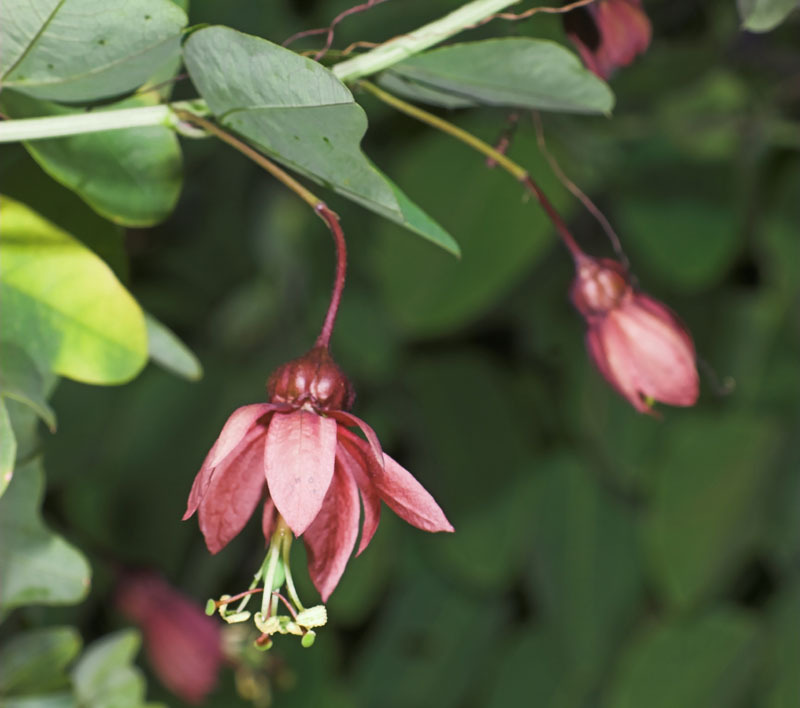 I have named this cross Passiflora ‘Flying V’ after both the adult foliage leaf shape (which, having said that, can be very variable) & my favourite guitar. 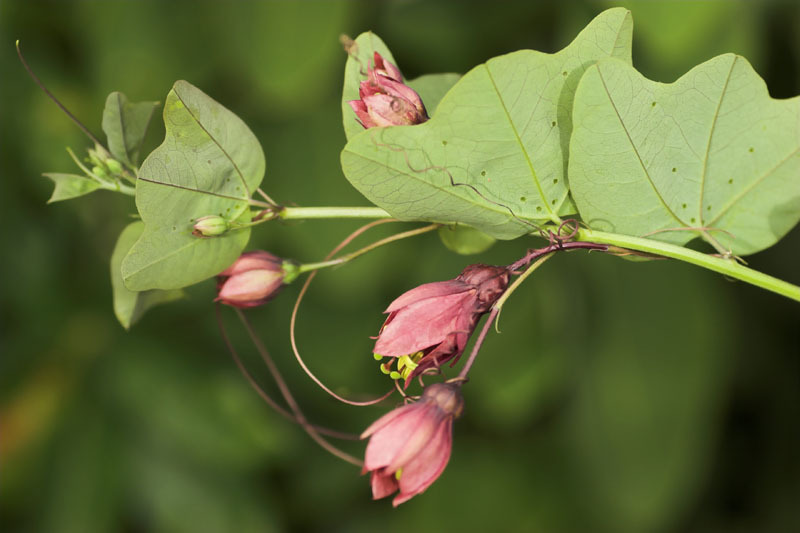 The plant roots easily, is vigorous, growing to 18′, free flowering for 10 months of the year or more, disease free & not at all tempermental. 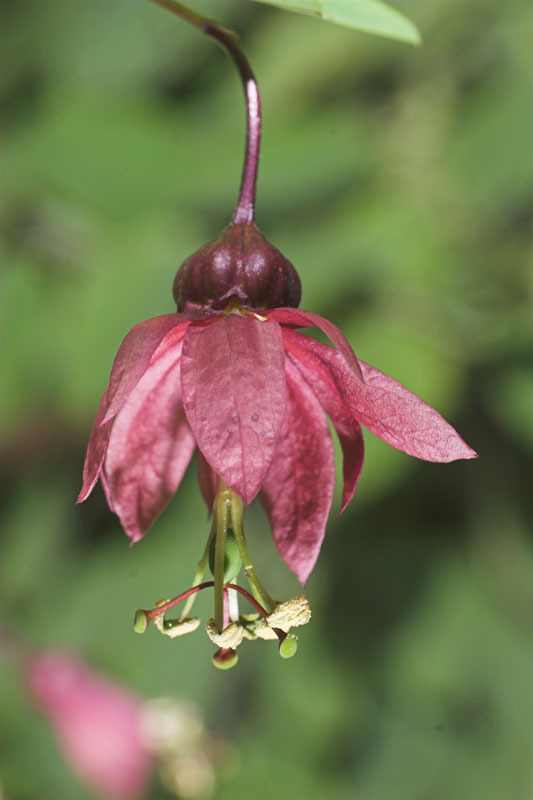 It is not hardy but will briefly take temperatures near to zero, possibly losing leaves but will then quickly regrow them. 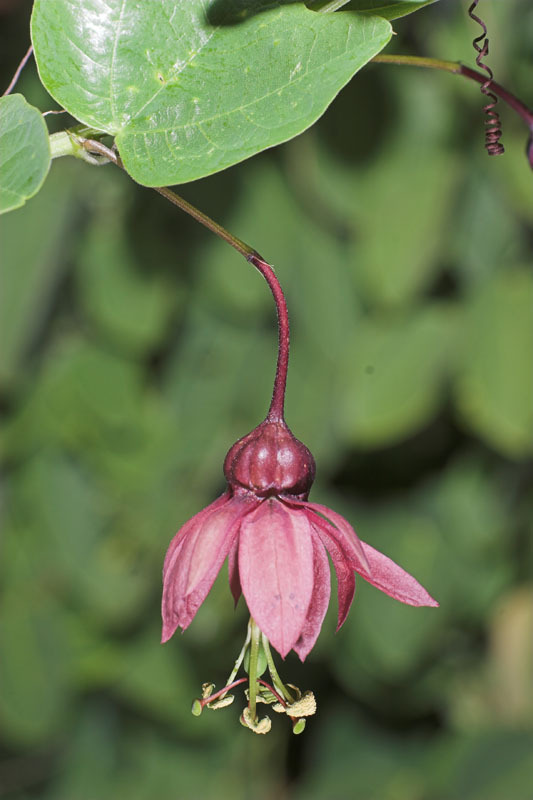 It will also flower in very high temperatures up to 35 °C, 90°F. 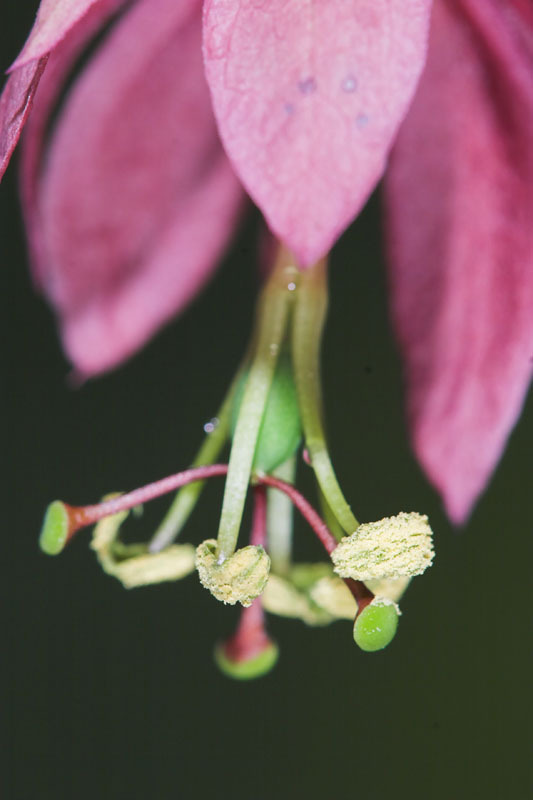 It has curiously long tendrils – up to 28cm!